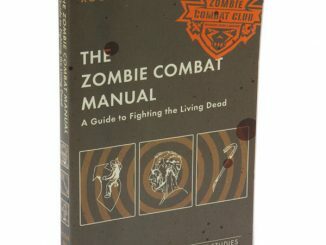 Here you are, it’s 2012 and you’ve read the Zombie Survival Guide and Zombie Combat Manual and of course you’ve stocked up on supplies and weapons. 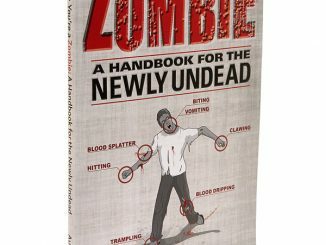 So now you’re for the next challenge, time to start your target practice training with the Tactical Bleeding Zombie Target. 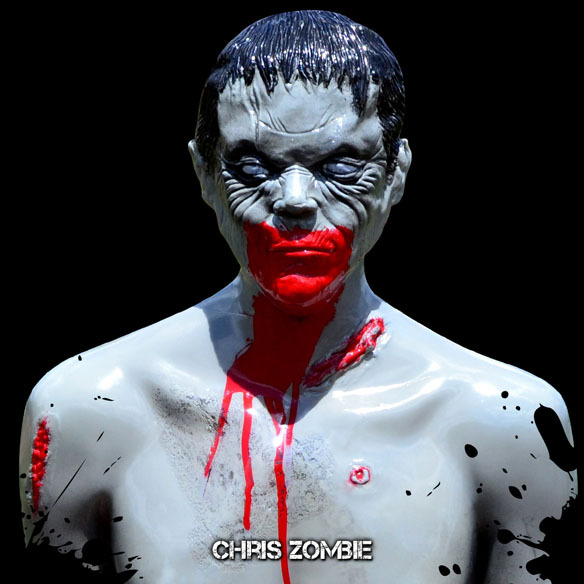 There are several models to choose from like Zombie Chris (pictured above), Zombie Ex-Girlfriend, Zombie Nazi, Zombie Terrorists, and a few more. 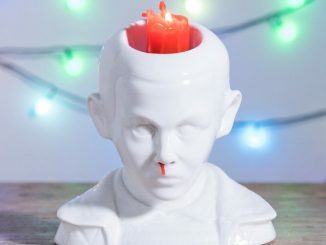 All are good choices, and all will bleed when you put some hot lead into their heads and upper torsos. 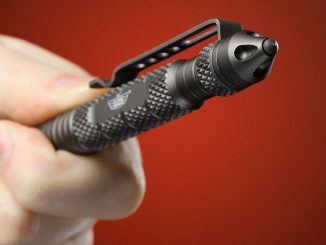 You can read all you want and stock up on supplies until your broke, but if you don’t know how to use the weapons at your disposal, you’re as good as lunch. 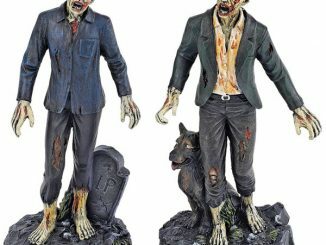 Each Patent Pending Chris Zombie is cloned in our San Diego, California facility and is hand painted to accurately resemble an infected human that just finished gnawing on your neighbor Zed’s leg, to give you that realistic look so you genuinely feel the hate. 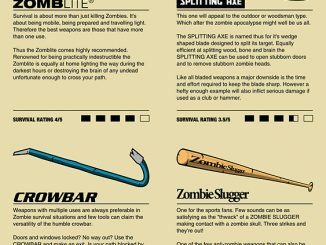 What makes our Zombie’s so special? 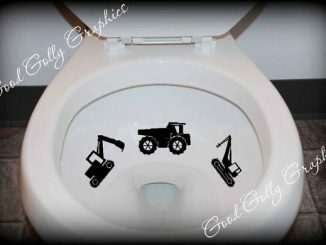 They’re filled with biodegradable matter, which makes clean-up so much easier… (are you happy, mom?) 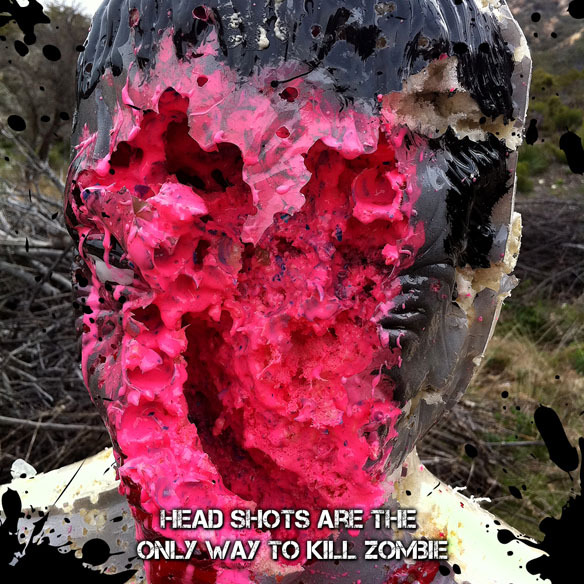 …and oh yah, let’s not forget, they ooze and burst into little pieces of blood soaked Zombie matter when you shoot them! 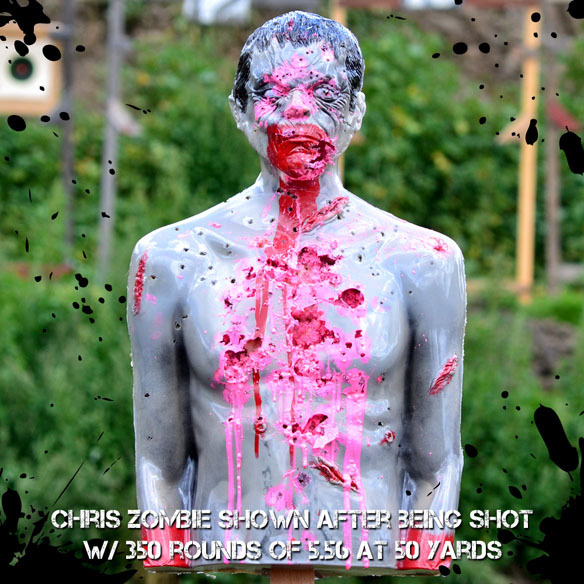 Life-sized Zombie target BLEEDS when you shoot it!!! Zombies can be shot more than 1000+ rounds of assorted calibers. 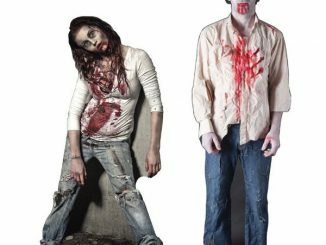 Biodegradable Zombie matter keeps tree huggers off your back. Zombie can be reused to finish off another day. 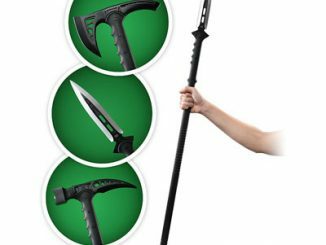 Includes wood stake to mount the Zombie. Printed Box with a standard shaded scoring line target on both sides to help sight in your weapon. Optional ZOMBOOM! Exploding Rifle Target kit (2 Targets). Made in the USA by non-infected workers!!! The more you shoot these targets, the more they bleed; perfect for ammo hungry AKs and AR-15s. Be prepared for anything and get out there and enjoy some serious training. 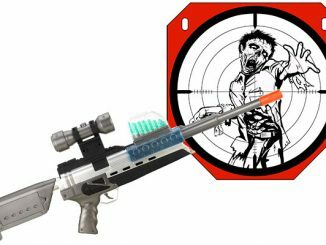 You can purchase this Tactical Bleeding Zombie Target at Amazon.com from $74.99 and many of the other Zombie Industries products as well…Happy Hunting! 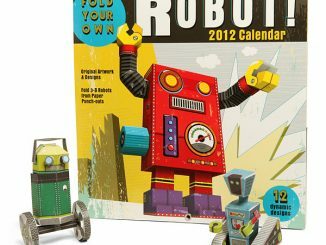 Update April 2012: Now available at ThinkGeek.com.